Niki J Crawford and her band bring the heat with a high energy soul get down. After a short break following her latest tour, Niki is back with a new band, new songs and a new show. Niki is an American Recording Artist/Songwriter from the small country town of Springhill, Louisiana with a powerful, unforgettable and melodic voice. The singer/song writer crafts poignant lyrics and creates music with a Soul-Funk-R&B sound that you can feel. Niki has been singing since she was 6-years-old. From her roots as the lead soloist in her hometown church choir to the recently completed touring, her talent has continued to evolve as one of the strongest voices in music. 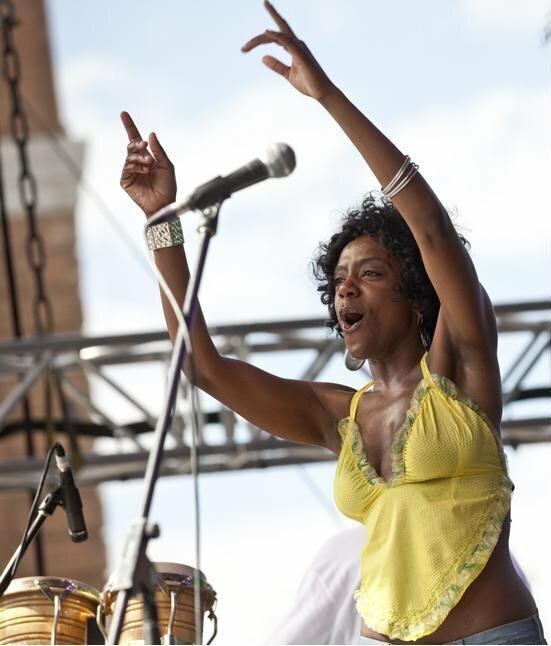 Niki and the band members have shared the stage and have played with Carlos Santana, Snoop Dogg, Al Green, Sharon Jones & the Dap Kings, Aaron Neville, Macy Gray, Booker T Jones, The Roots, Chicano Batman, Galactic and Orgone just to name a few of the performers who have sought out her talent. She has performed on various late-night TV shows such as Jay Leno, David Letterman, Conan O’Brien, and Saturday Night Live and lit up festival stages across the world like Bonnaroo, Wakarusa, Cal WorldFest, Utah Arts, Montreal Jazz, Summer Camp, Bear Creek, Long Beach Jazz Fest, All Good, High Sierra and Jam Cruise. A multi-talented artist, Niki J. Crawford not only sings but is also a talented and growing actress. She just finished shooting an upcoming film “Revival” based on the gospel of John set to release Dec. 2018 and “Mr. Sophistication,” in which she plays herself-a popstar alongside Tatum O’ Neal, Harry Lennix and Rick Fox. Niki can also be seen in Taylor Hackford’s “Love Ranch,” co-starring alongside Ginnifer Goodwin and Kevin Connolly in the hit comedy, “He’s Just Not That Into You”; “American Dreamz”, as well as roles in “The Tenants,” “Seeing Other People,” “Gridiron Gang,” “Miss March”, and “Killer Diller,” which she received a “Two Thumbs Up” for her performance and was told “She is The REAL American Idol” from Ebert & Roper. Niki has also guest-starred on television shows “Ally McBeal,” “Wanted,” and was a “Scarlett” series regular; she has guested on hit productions “Rent” (Shubert Theater), and “Behind Closed Doors” (Tyler Perry Prod./T.D Jakes Prod. ); and is also featured singing in the national Subway Campaign.